The Latin American Youth Forum is the co-ordination body for 8 national youth platforms and 12 international youth organizations from this continent. 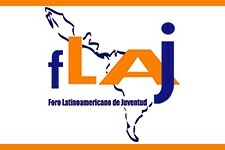 FLAJ's purpose is to become a vehicle of representation, coordination and co-operation between the youth organizations of Latin America. FLAJ is a member of the International Coordinating Meeting of Youth Organisations. Its objectives are to promote and defend the rights of youth, strengthen youth associations, strengthen and promote Latin American integration, identify, promote and disseminate Latin American identity, promote and encourage the creation and strengthening of national youth platforms and promote the exchange of experiences and knowledge between FLAJ members (National Platforms and Organizations Youth). Participation of young people is through national youth council bodies. FLAJ is listed as a member of the International Coordination Meeting of Youth Organisations (ICYMO). However, a list of member organisations, recent programmes or activities, could not be found. It is therefore unclear how active FLAJ is currently. As of 2016, the only active channel is the Facebook Page.